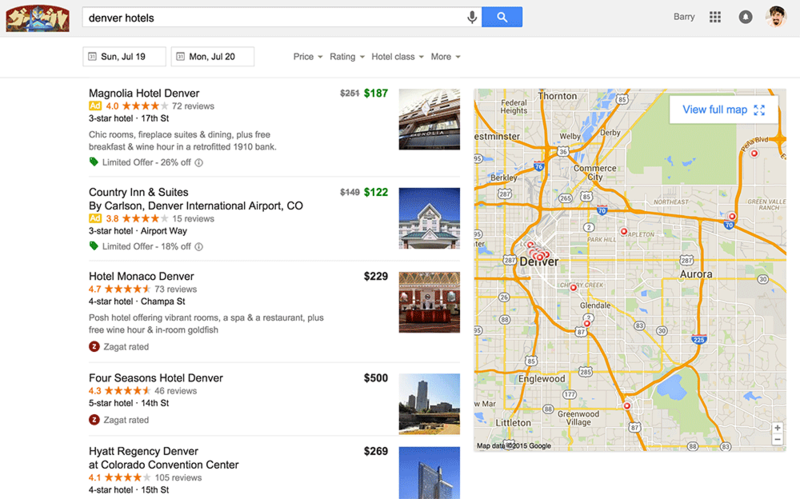 Google seems to be testing a new version of their hotel finder search. Now when you click on nearby hotels after doing a search for a hotel + city combination, you may see this new interface. Brad Brewer caught a glimpse of the new interface and posted a video of it on Google+. Google is constantly testing new interfaces around these new and even older search features.